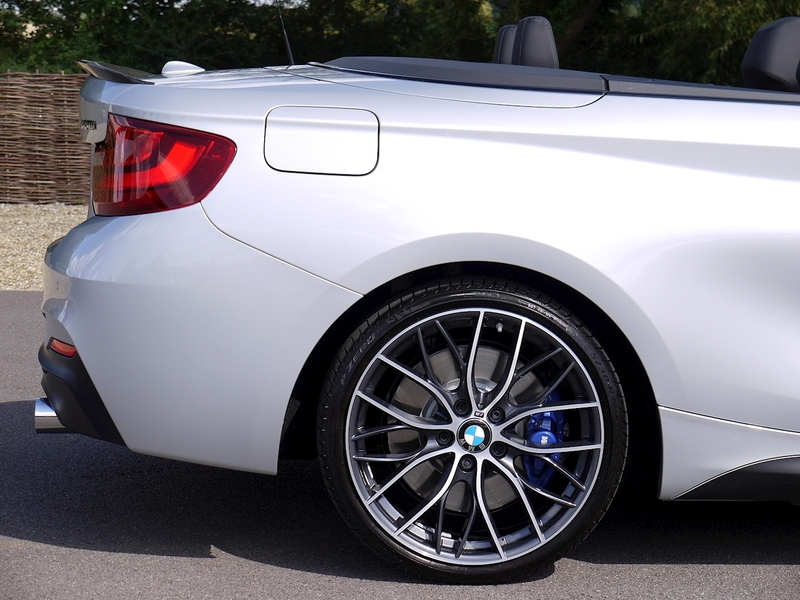 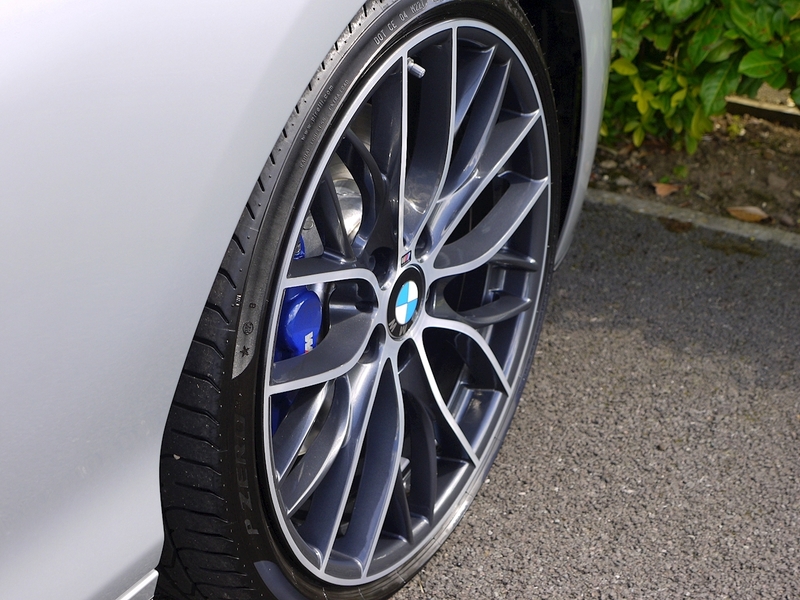 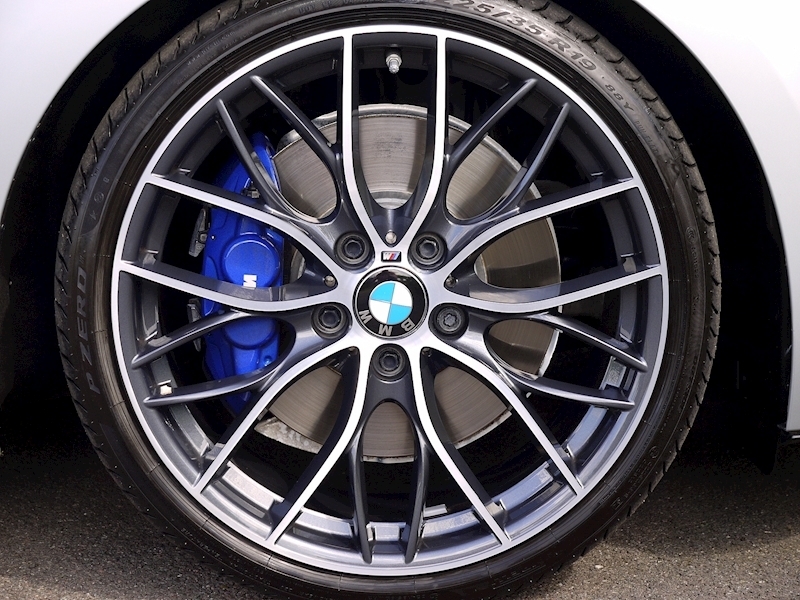 19'' BMW M Performance Diamond Turned Double-spoke Forged Alloys in Bicolour Orbit Grey. 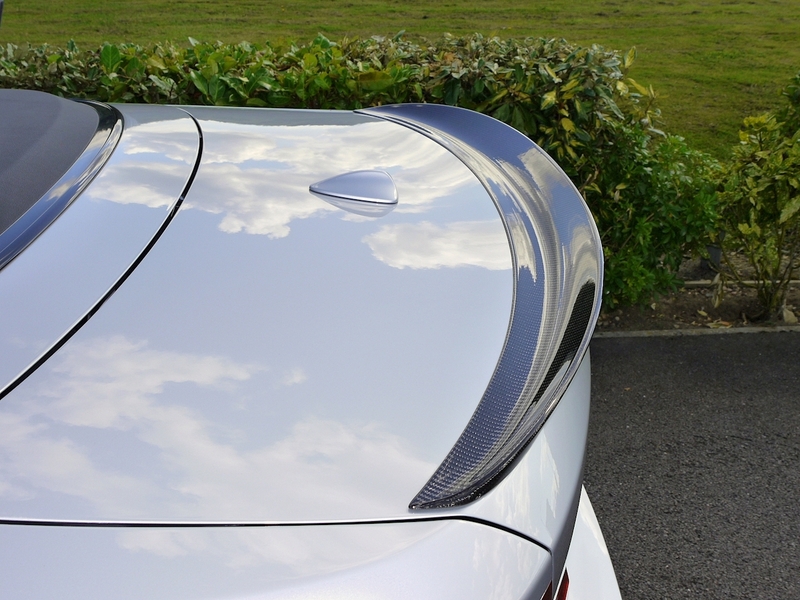 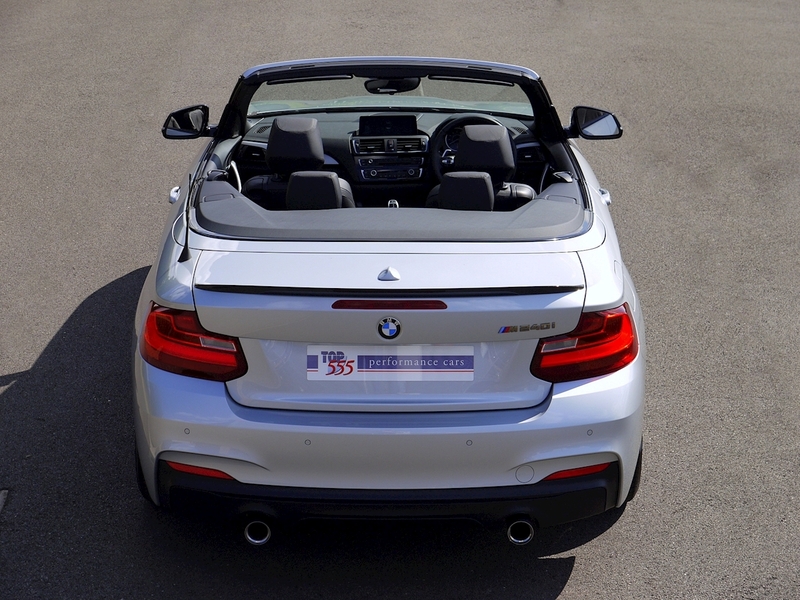 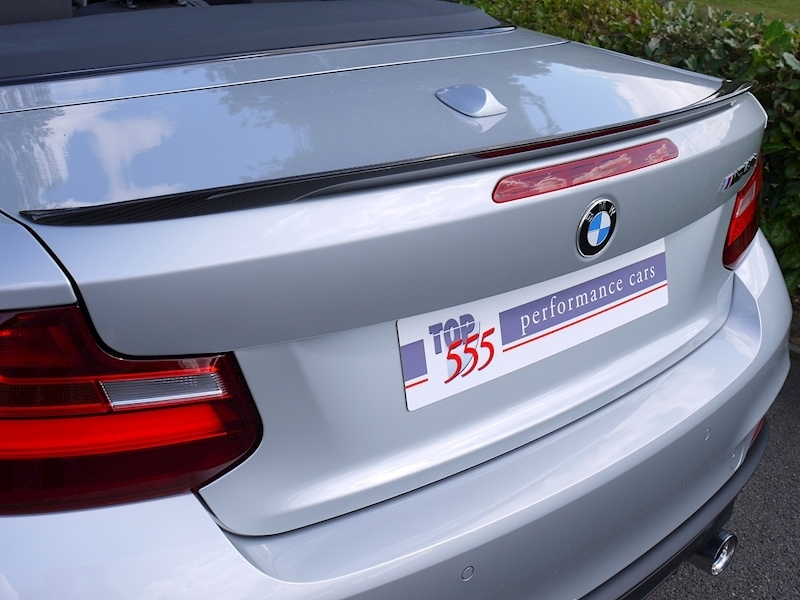 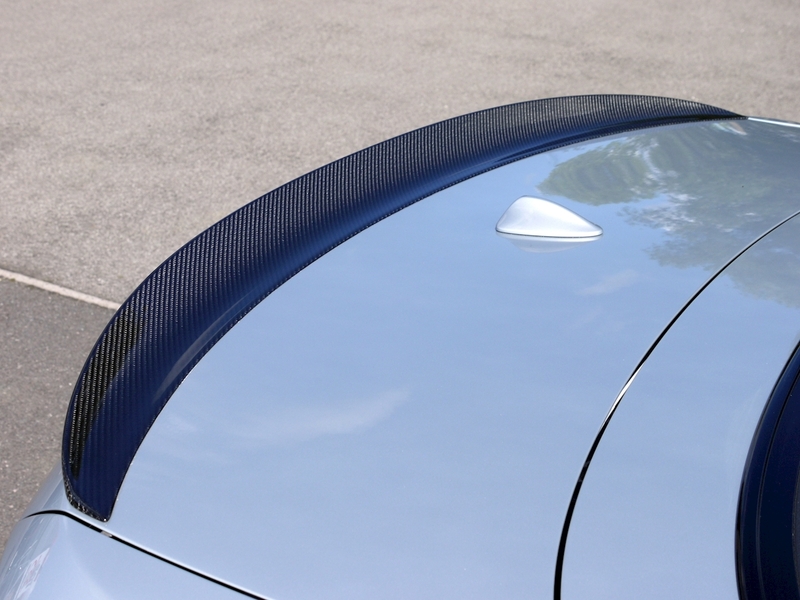 BMW M Performance Carbon Rear Spoiler. 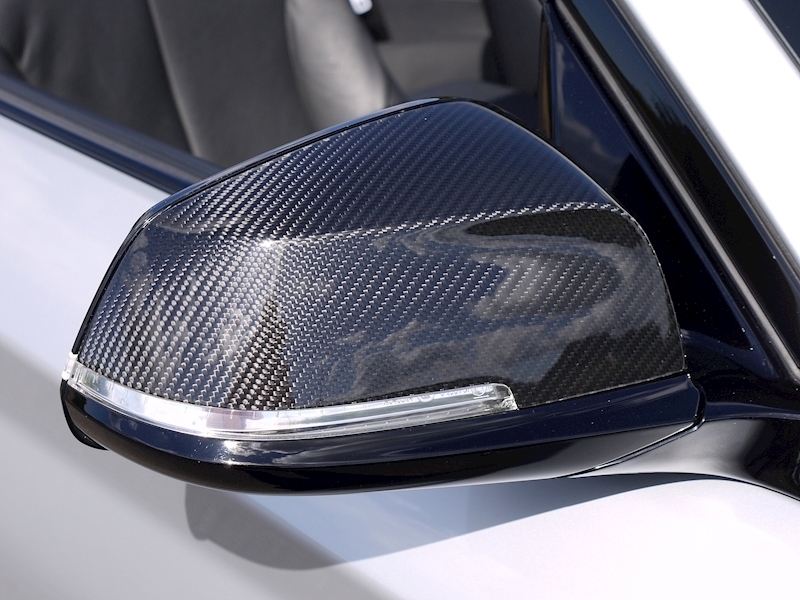 BMW M Performance Carbon Exterior Mirror Caps. 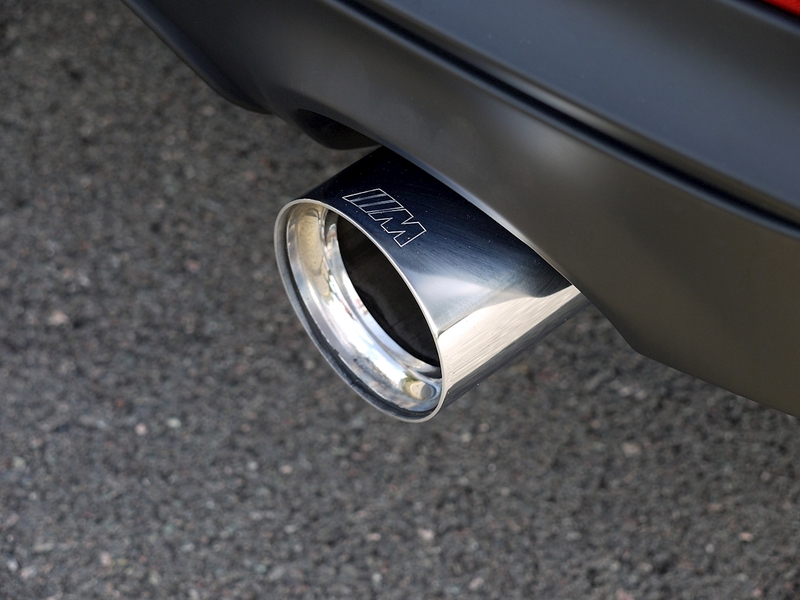 BMW M Performance Chrome Tailpipes. 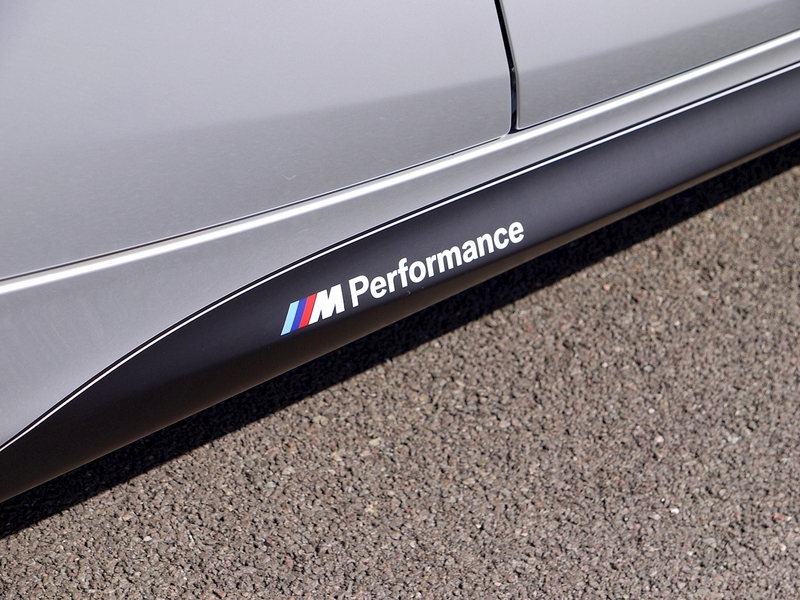 BMW M Performance Matt Black Sill Attachments. 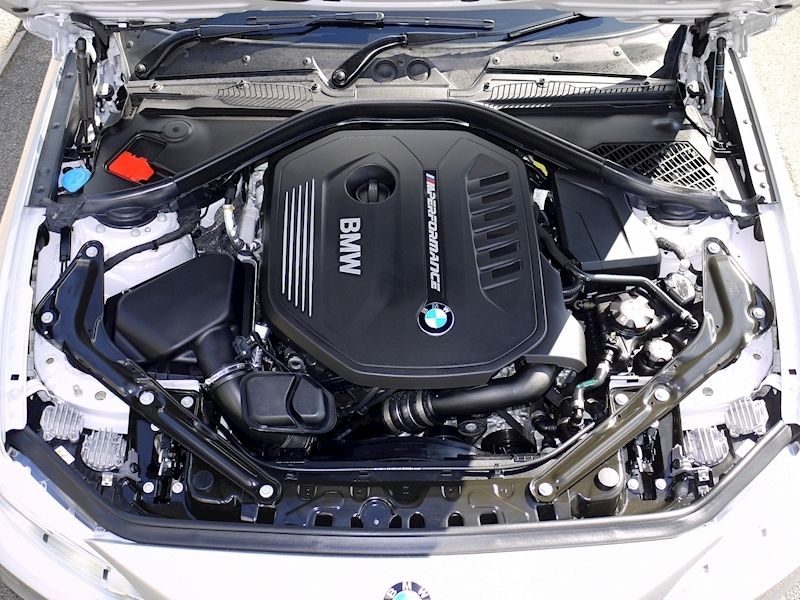 BMW M Performance Black Kidney Grille. 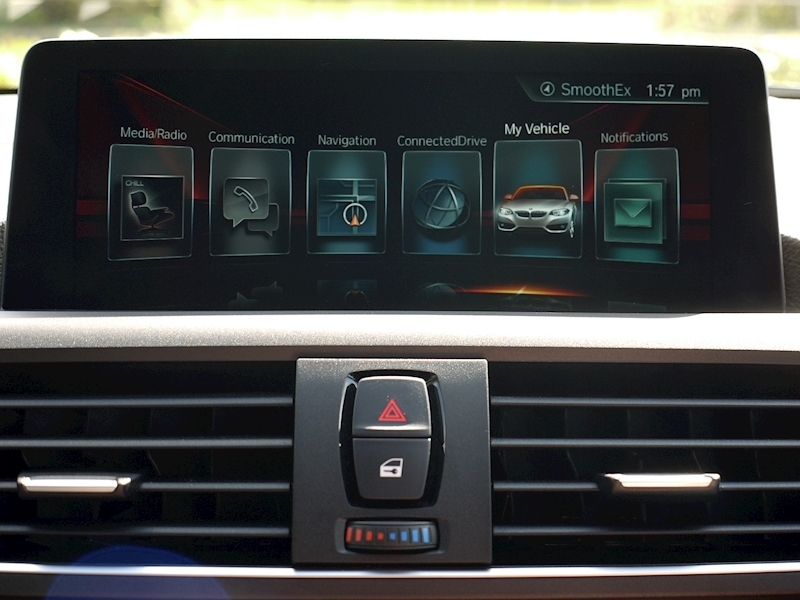 Media Package Professional (Navigation System Professional, Online Entertainment, Full Panel Display, Remote Services). 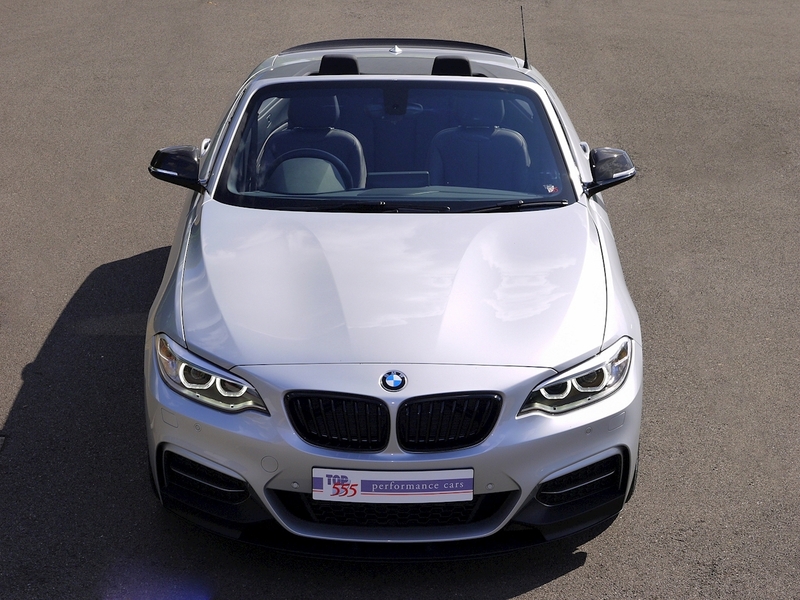 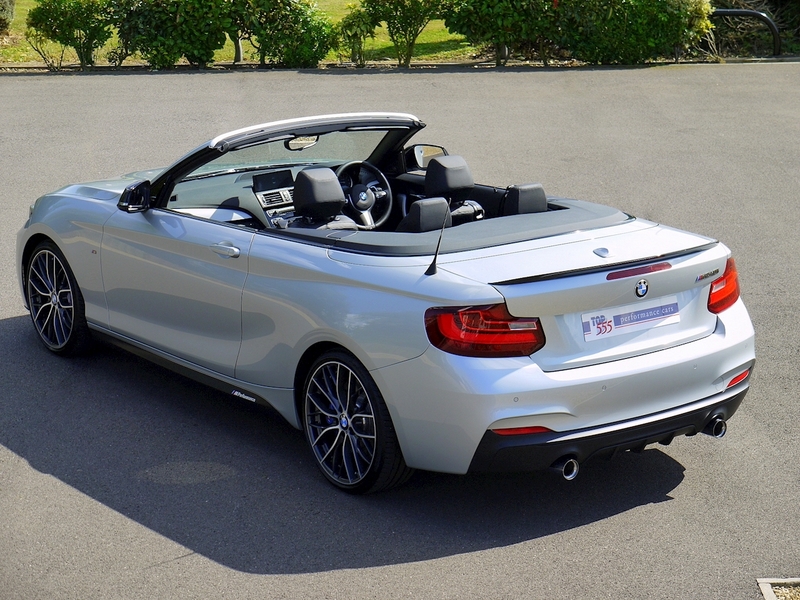 Convertible Comfort Package (Heated Steering Wheel, Heated Front Seats and Wind Deflector). 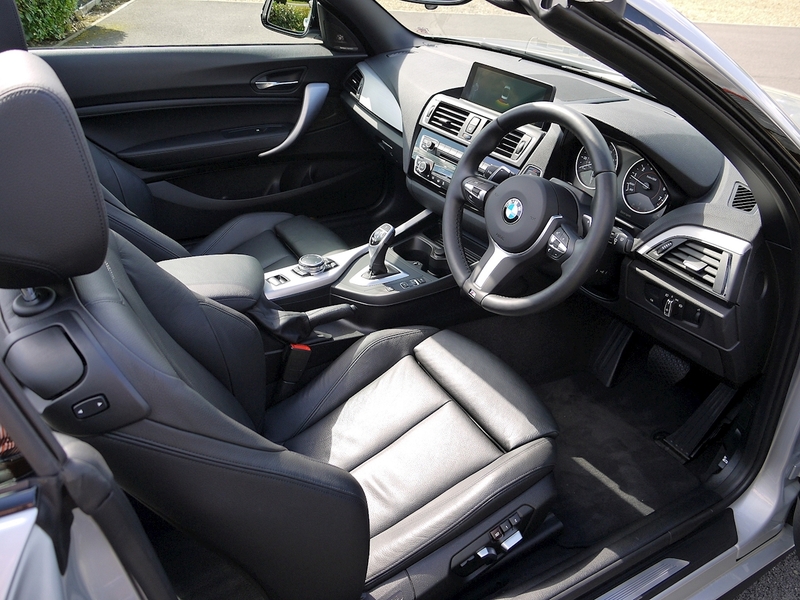 Driver Comfort Package (Servotronic, Cruise Control with Brake Function, Park Distance Control Front and Rear). 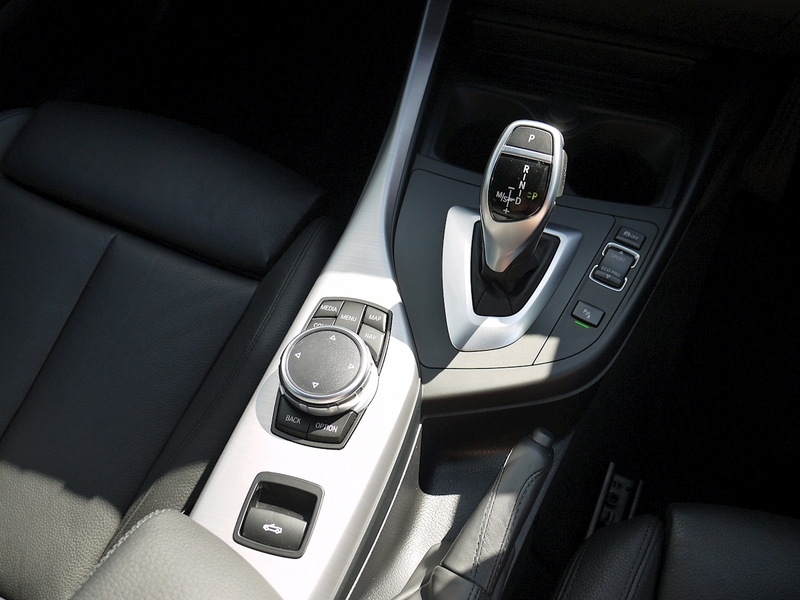 Sport Automatic Transmission. 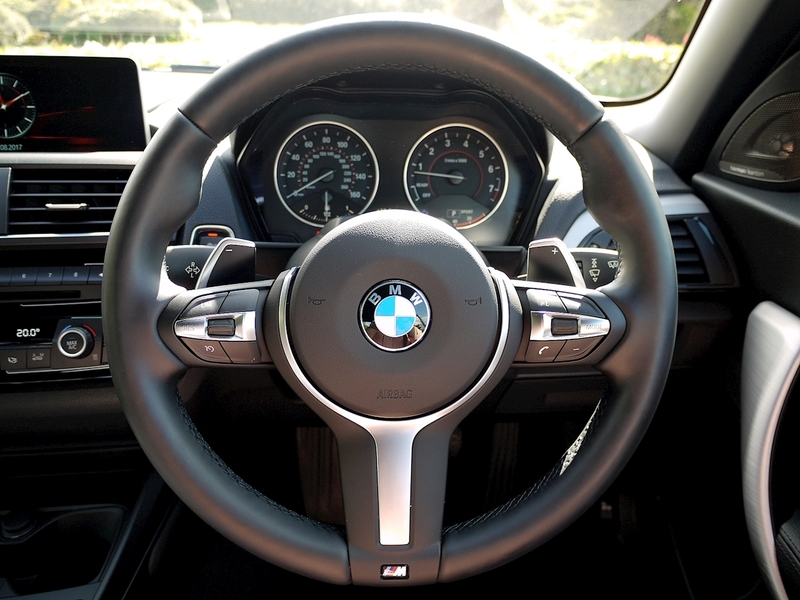 Harmon Kardon Hi Fi. 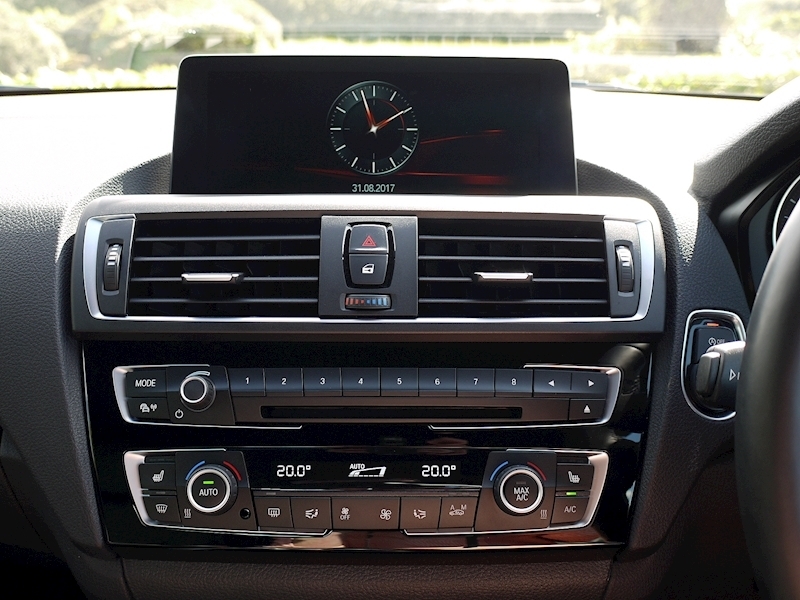 Enhanced Bluetooth with Wireless Charging. Wi-Fi Hotspot Preparation. 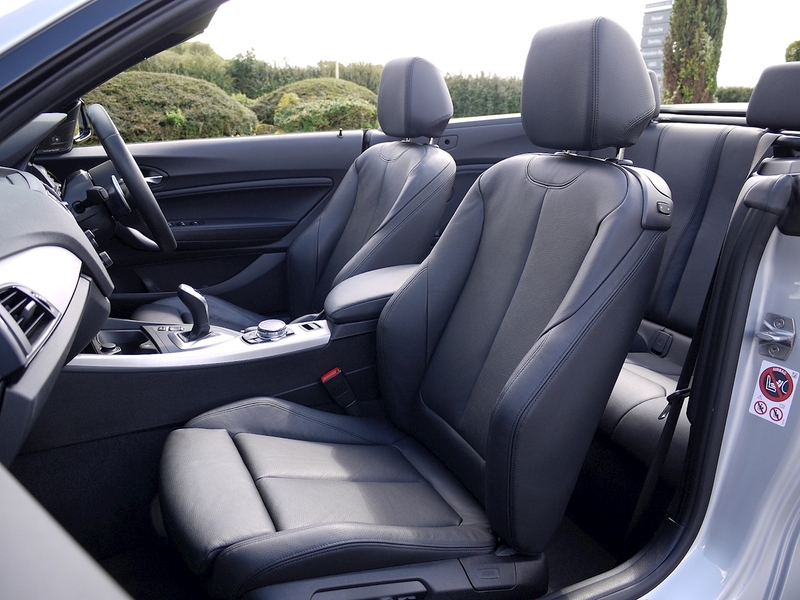 Electric Front Seats and Driver Memory. 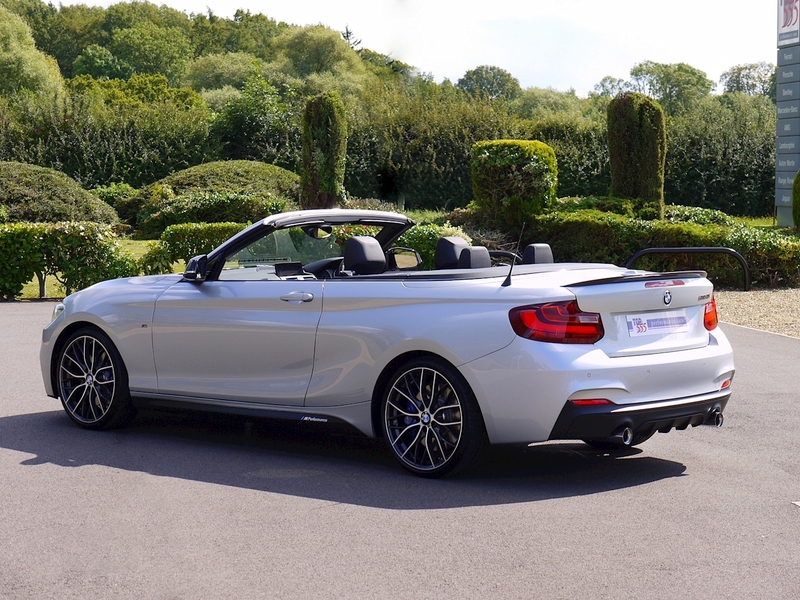 Extended Storage. 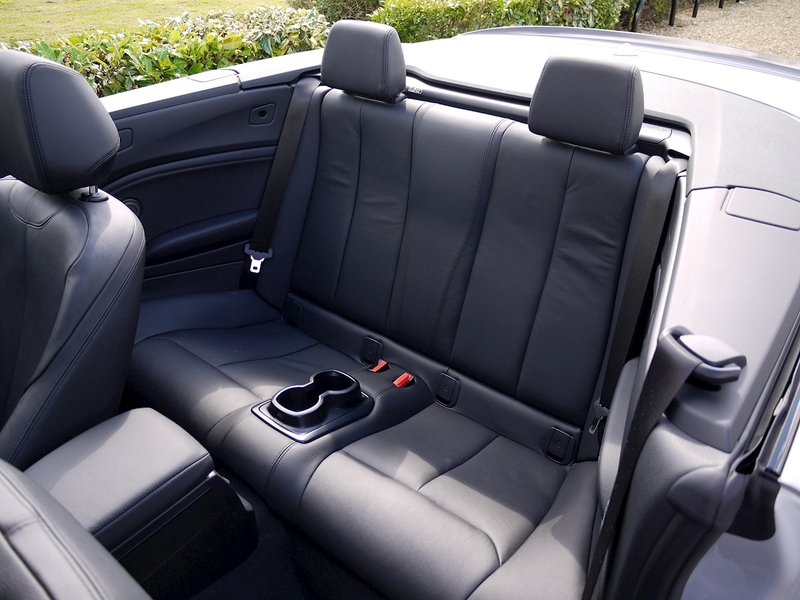 Split-folding Rear Seats (through-load system). 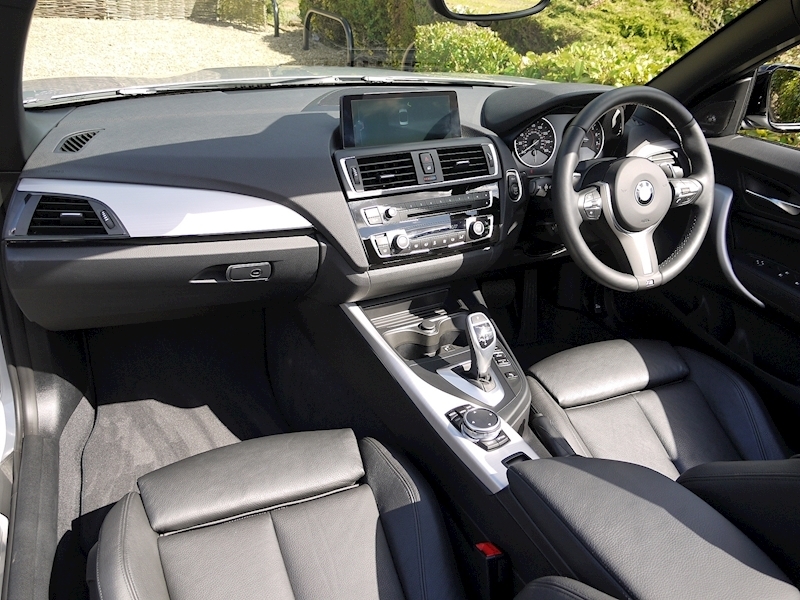 Brushed Aluminium Interior Trim with Black High-Gloss Finish. 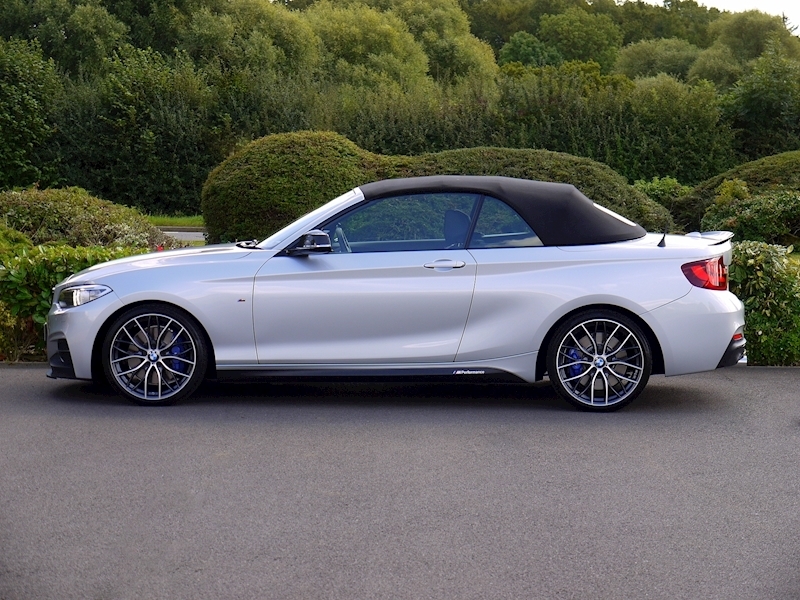 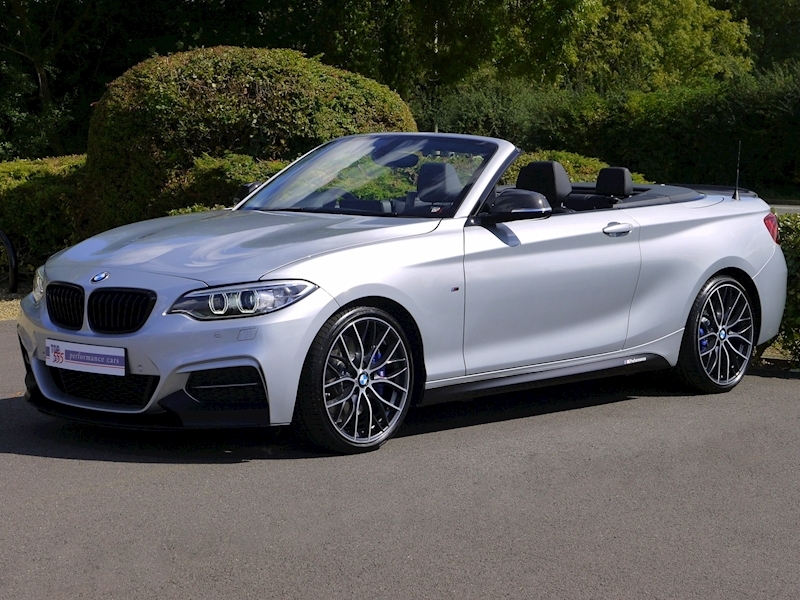 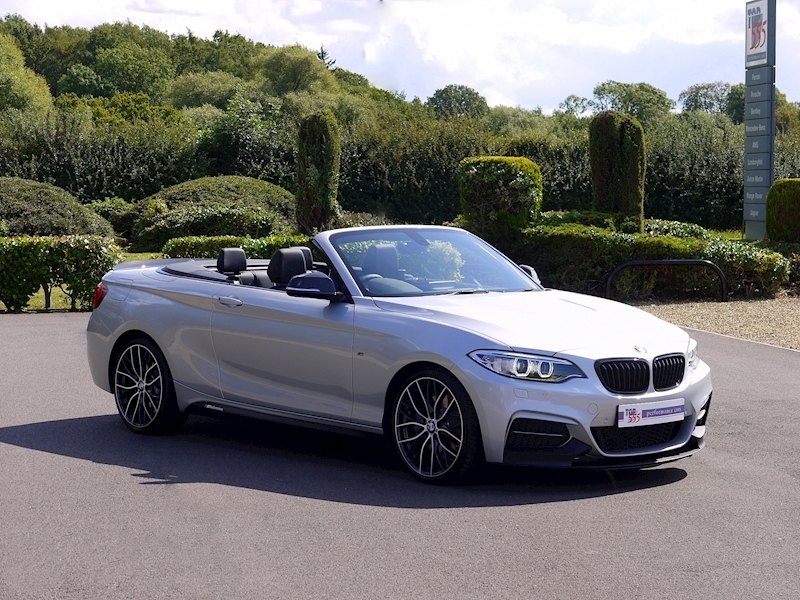 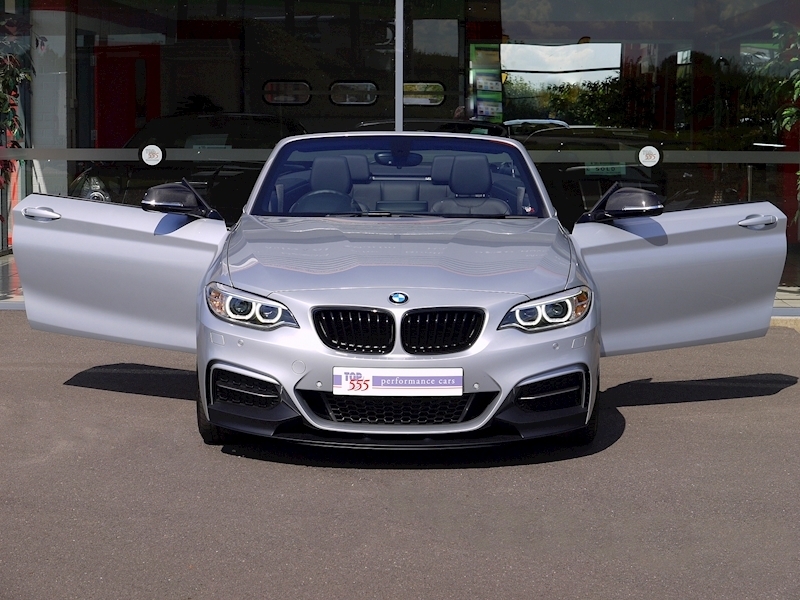 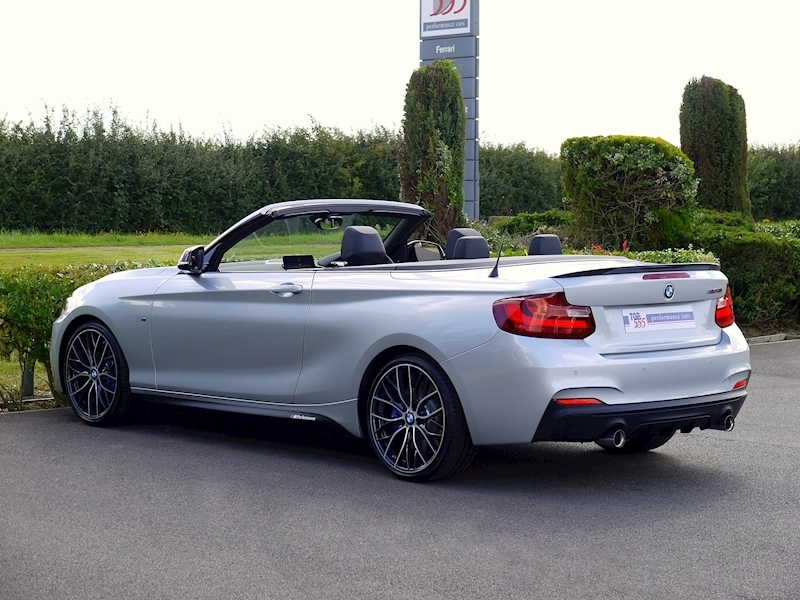 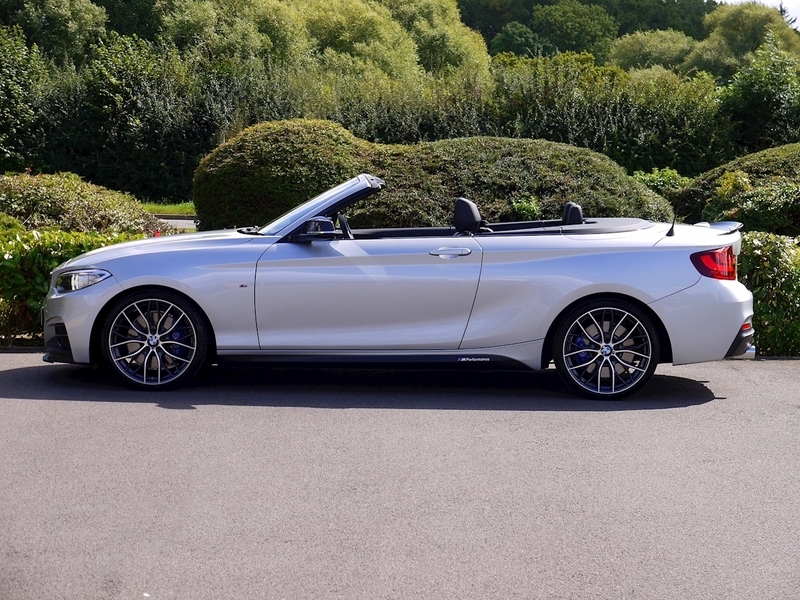 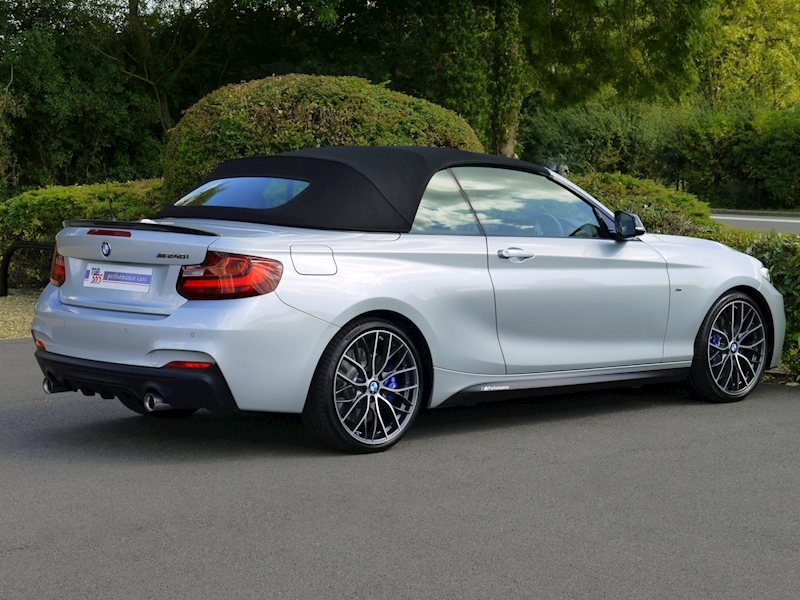 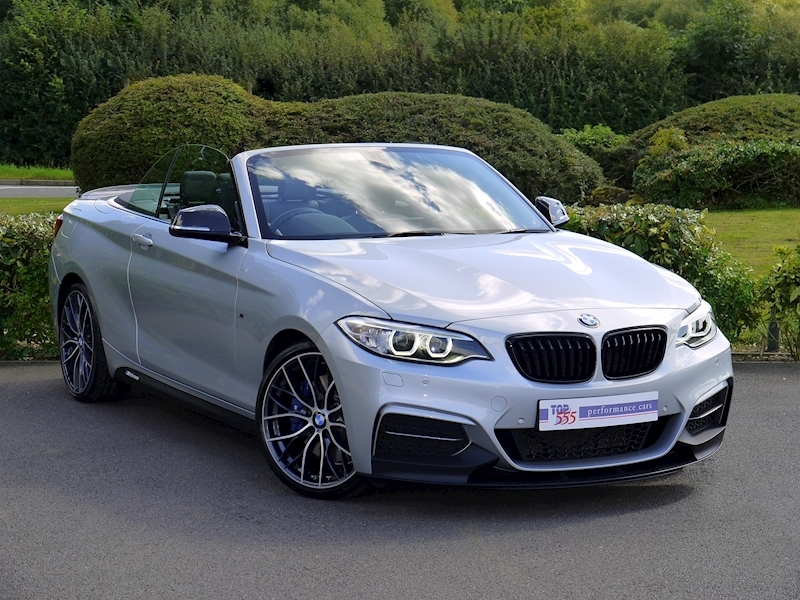 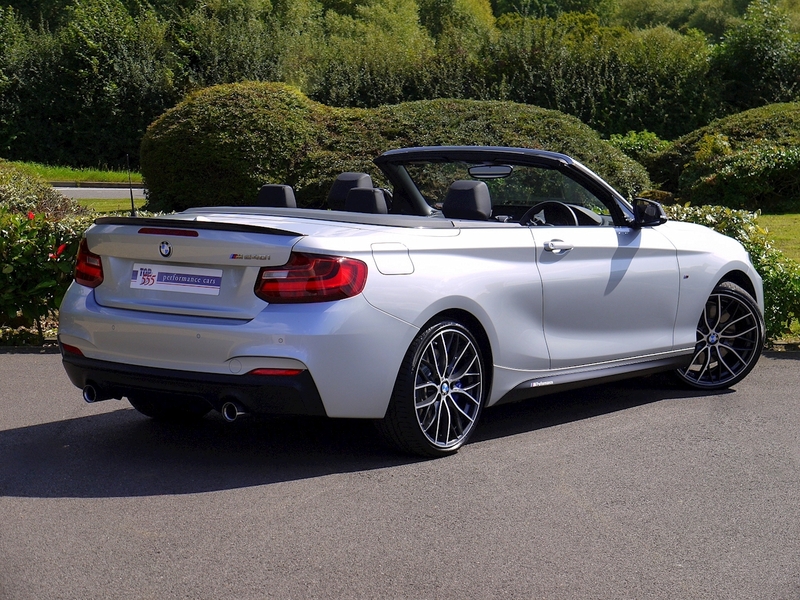 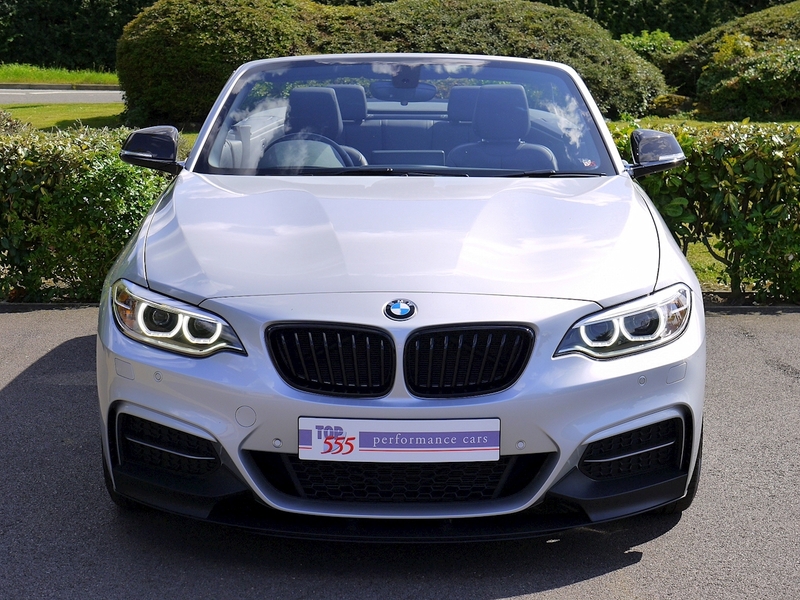 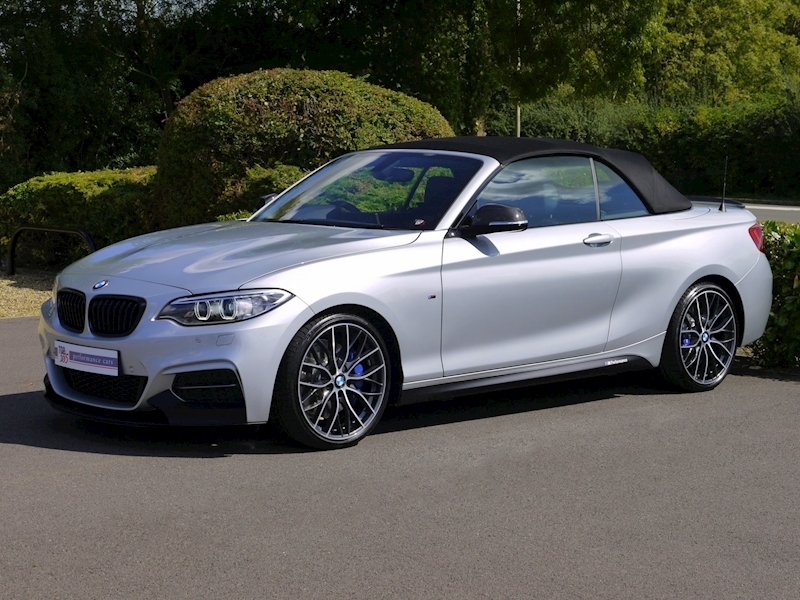 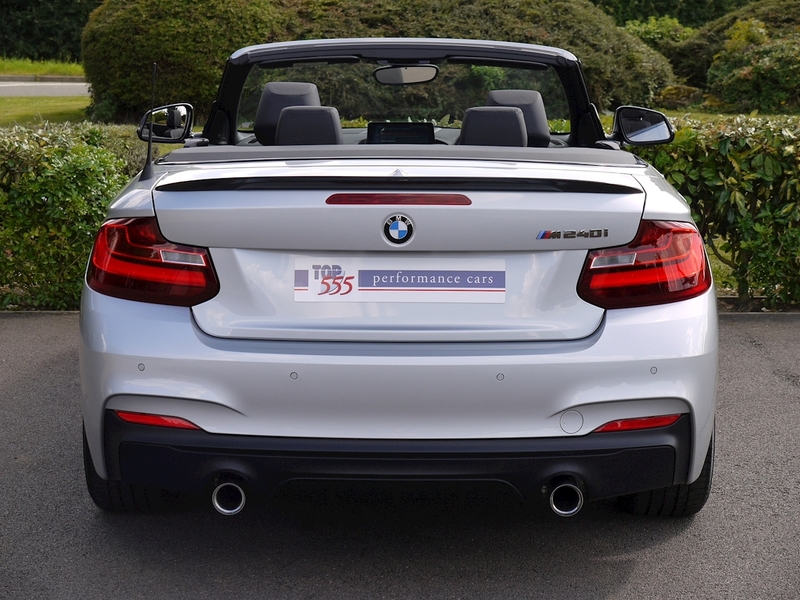 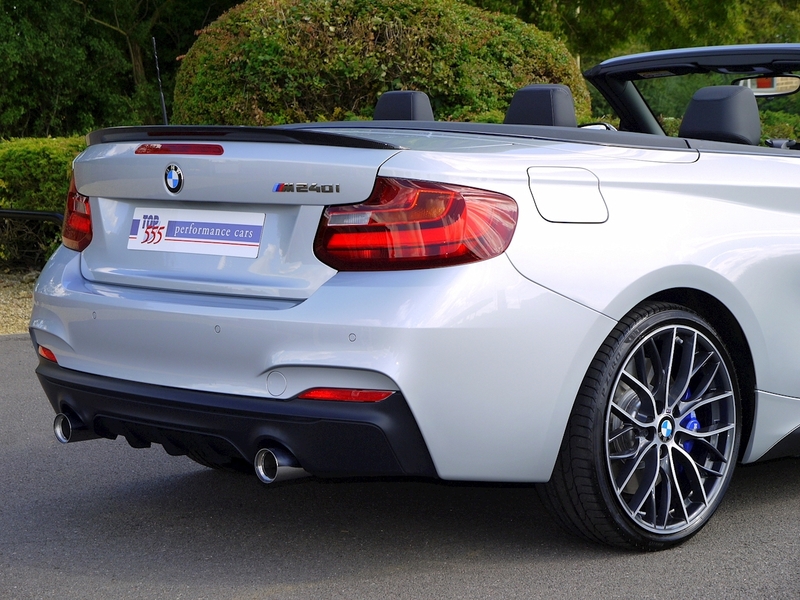 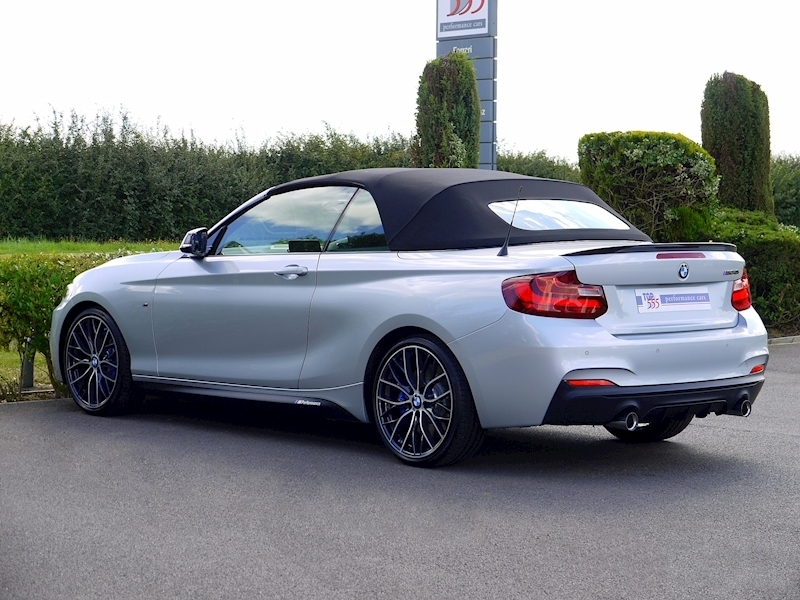 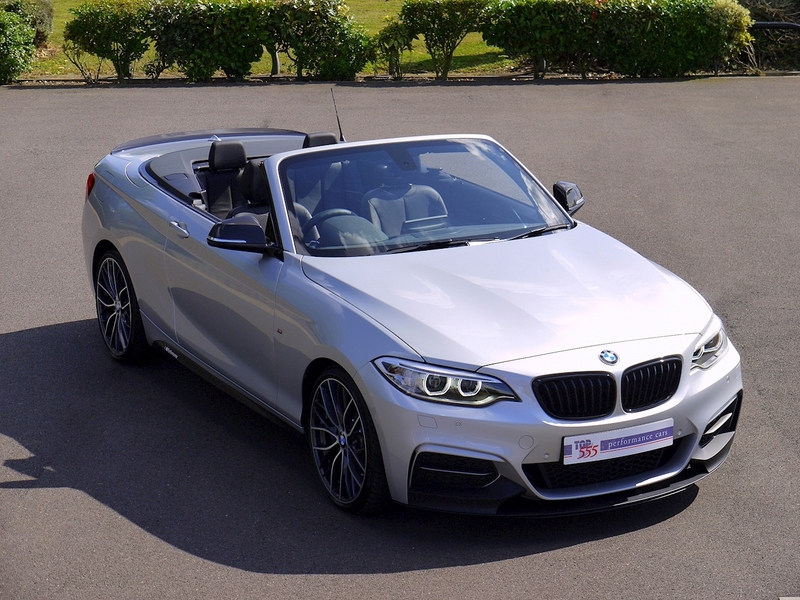 A Fantastic Spec, Drop Top, Pocket Rocket!